Whether you are looking for an international removal company, medical insurance, or expat banking service, you will find information and contact forms to get free quotes and to know more about the services. If you are an expatriate, like to help others to make the "big" step with a life abroad, you can write articles and provide information for people moving; and if you have a blog/website, we will link with it. You can see examples of contributions here and there. If you want to help us, feel free to contact us. 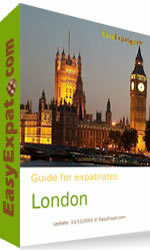 2012 had a big start as we have fully updated our most popular guide: London (and England). With 185 pages (PDF) of information you will read the most complete guide to prepare your expatriation to England and the UK capital. 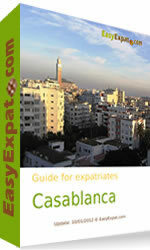 We are proud to launch our new city guide for expatriates in Casablanca. We wish you all a very happy year 2012! We have continued to work hard to make more information available for expatriates on our sites. Automatic translation for the Frequent Asked Questions (FAQ). Read the full changes HERE. You can download all articles of each city-guide in one single PDF booklet, with a special layout, additional maps and photos for FREE. Read the full story HERE. New service for expats: our network of expatriates. You can make contacts with expatriates living near you and even browse by nationalities. Read the full changes HERE. 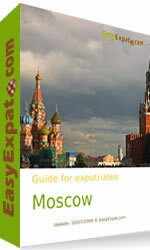 We have now made available more than 50 guides for your expatriation in the city of your choice. In 2012, we will concentrate on updating the guides, with a full rewrite of some of the most visited but also oldest guides. 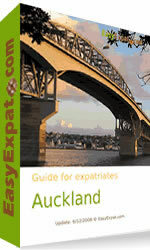 Just before Christmas, and to finish this year, we are publishing for the second year the EasyExpat Best-off list for the funniest or most bizarre emails we have received in 2011. 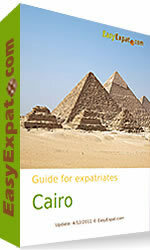 We are proud to launch our new city guide for expatriates in Cairo. 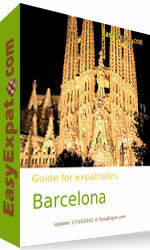 We are proud to launch our new city guide for expatriates in Barcelona.